The latest book from IICRR Lecturer Dr Donnacha Ó Beacháin looks at the relationship of the Irish Government to Northern Ireland to Brexit. 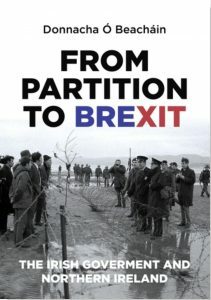 From Partition to Brexit: The Irish Government and Northern Ireland is published by Manchester University Press. 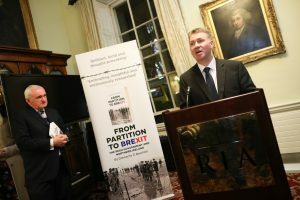 It is the first book to chart the political and ideological evolution of Irish government policy towards Northern Ireland from the partition of the country in 1921 to the present day. As the debate about Ireland’s role in Brexit becomes ever more entrenched and adversarial, this book provides the essential context to appreciate what is at stake. Based on extensive original research, this timely study challenges the idea that Irish governments have pursued a consistent set of objectives and policies towards Northern Ireland to reveal a dynamic story of changing priorities. 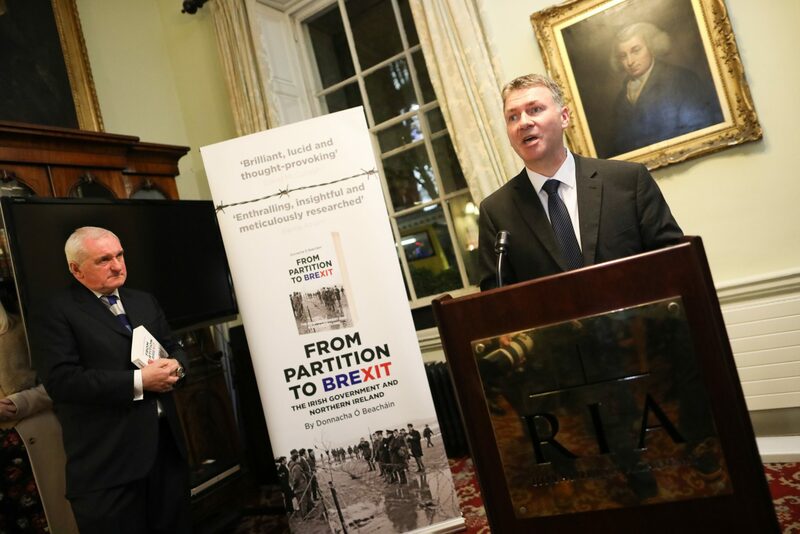 The book demonstrates how in its relations with the British Government, Dublin has been transformed from spurned supplicant to vital partner in determining Northern Ireland’s future, a partnership jeopardised by Britain’s decision to leave the European Union. Informed, robust and innovative, From Partition to Brexit is essential reading for anyone interested in Irish or British history and politics, and will appeal to students of diplomacy, international relations and conflict studies.